If you got Call of Duty: Modern Warfare Remastered along with your copy of Infinite Warfare, make sure you don't get rid of your disc. Activision has finally released Call of Duty: Modern Warfare Remastered as a standalone product earlier this week, but that doesn't mean you can get rid of your Infinite Warfare disc, or even uninstall the game. 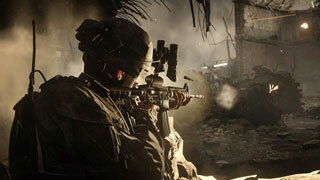 Players found that they weren't able to play Modern Warfare Remastered without Infinite Warfare installed, and Activision has confirmed that if you purchased a special edition of Infinity Ward's latest entry into the series that included the remaster, you must have Infinite Warfare installed and the disc in the console to play Modern Warfare Remastered. The same goes for the digital versions: you need to have both games installed for Modern Warfare Remastered to work. This may change down the road, but for now, you're stuck with having Infinite Warfare on your hard drive.